38) Sprain, C.S., P.R. Renne, G.P. Wilson, and W.A. Clemens. Calibration of Chron 29r: New high-precision geochronologic and paleomagnetic constraints from the Hell Creek region, Montana and their implications for the Cretaceous-Paleogene boundary mass extinction. Geological Society of America Bulletin. In revision. 37) Smith, S.M., C.S. Sprain, W.A. Clemens, D.L. Lofgren, P.R. Renne, and G.P. Wilson. Mammalian recovery following the end-Cretaceous mass extinction: A high-resolution view from McGuire Creek, Montana, USA. Geological Society of America Bulletin. In review. 36) DeBey, L.B. * and G.P. Wilson*. Fossil humeri from eastern Montana reveal locomotor diversity and function of latest Cretaceous and early Paleogene mammals. Palaeontologia Electronica 20.3.49A:1-92. 35) Chen, M.*, Z.-X. Luo, and G.P. Wilson. The postcranial skeleton of Yanoconodon allini from the Early Cretaceous of Hebei, China and its implications for locomotor adaptation in eutriconodontan mammals. Journal of Vertebrate Paleontology. http://dx.doi.org/10.1080/02724634.2017.1315425. 34) DeMar, D.G., J.L. Conrad, J.J. Head, D.J. Varricchio, and G.P. Wilson. A new Late Cretaceous iguanomorph from North America and the origin of the New World Pleurodonta (Squamata, Iguania). Proceedings of the Royal Society B 284: 20161902. *Featured in national and international news outlets (RedOrbit, Eureka Alerts, Phys.org, UW Today) and blogs. 33) Smith, S.M. * and G.P. Wilson. Species discrimination of co-occuring small fossil mammal: A case study of the Cretaceous-Paleogene multituberculate genus Mesodma. Journal of Mammalian Evolution. 24(2): 147-157. 32) Wilson, G.P., E.G. Ekdale, J.W. Hoganson, J.J. Calede, and A. Vander Linden. A large carnivorous mammal from the Late Cretaceous and the North American origin of marsupials. Nature Communications. 10 pages. doi:10.1038/ncomms13734. *Featured in national and international news outlets (RedOrbit, Eureka Alerts, Phys.org, UW Today), blogs, and web videos. 31) Chen, M.** and G.P. Wilson. A multivariate approach to infer locomotor modes in Mesozoic mammals. Paleobiology 41(2): 280-312. 30) Sprain, C.J. **, P.R. Renne, G.P. Wilson, and W.A. Clemens. High-resolution chronostratigraphy of the terrestrial Cretaceous-Paleogene transition and recovery interval in the Hell Creek region, Montana. The Geological Society of America Bulletin 127(3/4):393-409. 29) Williamson, T.E. *, S.L. Brusatte, and G.P. Wilson. The origin and early evolution of metatherian mammals: The Cretaceous record. ZooKeys. 28) DeBey, L.B. * ** and G.P. Wilson*. Mammalian femora across the Cretaceous-Paleogene boundary in eastern Montana. Cretaceous Research 51:361-385. Media Coverage: National Geographic blog Phenomena. 27) Tobin, T.S. * **, G.P. Wilson*, J.M. Eiler, and J.H. Hartman. 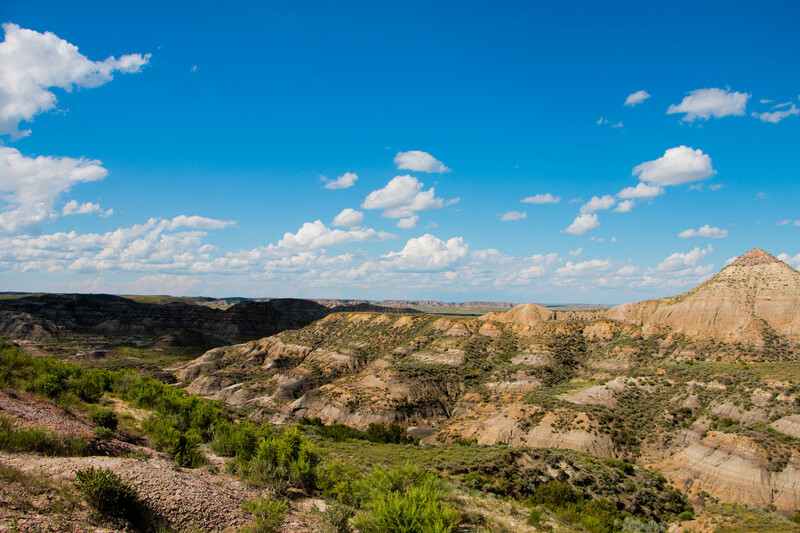 Environmental change across a terrestrial Cretaceous-Paleogene boundary section in eastern Montana, U.S.A., constrained by carbonate clumped isotope paleothermometry. Geology 42(4):351-354. 25) Wilson, G.P. * Mammalian extinction, survival, and recovery dynamics across the Cretaceous-Paleogene boundary in northeastern Montana, USA, in Wilson G.P., Clemens, W.A., Horner, J.H. and Hartman, J.H., eds., Through the End of the Cretaceous in the Type Locality of the Hell Creek Formation in Montana and Adjacent Areas:Geological Society of America Special Paper 503, p. 365-392, doi:10.1130/2014.2503(15). 24) Holroyd, P. A., G.P. Wilson, and J.H. Hutchison. Temporal changes within the latest Cretaceous and early Paleogene turtle faunas of northeastern Montana, in Wilson G.P., Clemens, W.A., Horner, J.H. and Hartman, J.H., eds., Through the End of the Cretaceous in the Type Locality of the Hell Creek Formation in Montana and Adjacent Areas: Geological Society of America Special Paper 503, p. 299-312, doi:10.1130/2014.2503(11). 23) Wilson, G.P. *, D.G. DeMar Jr.**, and G. Carter**. Extinction and survival of salamander and salamander-like amphibians across the Cretaceous-Paleogene boundary in northeastern Montana, USA, in Wilson G.P., Clemens, W.A., Horner, J.H. and Hartman, J.H., eds., Through the End of the Cretaceous in the Type Locality of the Hell Creek Formation in Montana and Adjacent Areas: Geological Society of America Special Paper 503, p. 271-297, doi:10.1130/2014.2503(10). 22) LeCain, R.**, W. Clyde, G.P. Wilson, and J. Riedel. ** Magnetostratigraphy of the Hell Creek and lower Fort Union Formations in northeastern Montana, in Wilson G.P., Clemens, W.A., Horner, J.H. and Hartman, J.H., eds., Through the End of the Cretaceous in the Type Locality of the Hell Creek Formation in Montana and Adjacent Areas: Geological Society of America Special Paper 503, p. 137-147, doi:10.1130/2014.2503(04). 21) Moore, J., G.P. Wilson, M. Sharma, H.R. Hallock, D.R. Braman, P.R. Renne. Assessing the relationships of the Hell Creek-Fort Union contact, Cretaceous-Paleogene boundary, and Chicxulub impact ejecta at the Hell Creek Formation lectostratotype, Montana, USA, inWilson G.P., Clemens, W.A., Horner, J.H. and Hartman, J.H., eds., Through the End of the Cretaceous in the Type Locality of the Hell Creek Formation in Montana and Adjacent Areas:Geological Society of America Special Paper 503, p. 123-135, doi:10.1130/2014.2503(03). 13) Gao, Chun-ling, G.P. Wilson*, Z.-X. Luo, A.M. Maga, Q. Meng, and X. Wang. A new mammal skull from the Lower Cretaceous of China with implications for the evolution of obtuse-angled molars and amphilestid eutriconodonts. Proceedings of the Royal Society B: Biological Sciences 277 (1679): 237-246. [pdf].